Product categories of Emergency Rescue & Safety Tools, we are specialized manufacturers from China, Emergency Rescue Tools, Safety Tools suppliers/factory, wholesale high-quality products of Car Rescue Tool R & D and manufacturing, we have the perfect after-sales service and technical support. Look forward to your cooperation! This vehicle emergency secure and safety multi-function tool is not only be used in cars, it also can be use in your any household or emergency needs! Automotive Emergency&Safety Tools offers high quality construction, versatility and portability. 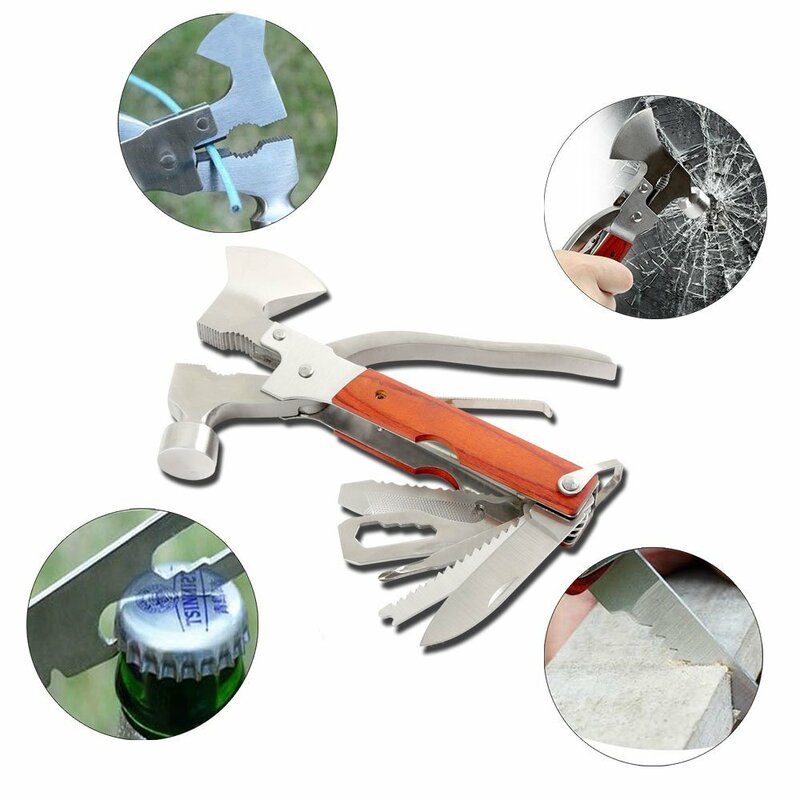 This 16-in-1 multifunctional tools includes hammer,nail puller, pliers, screwdriver, knife, saw blade, bottle opener, wrench and nail file, etc. All of these mini tools fit securely into the base of the tool and the handle is secured by a little loop of metal at the bottom. Heavy duty, durable and portable, great for outdoor and emergency use. Best emergency survival escape multitool kit, fit for outdoor activities and simple household needs. Come with a carrying pouch, easy to carry and store. 1.When meet car trapping, remember to break the windows of the car door. The four corners of the windows and edges are the best Points for breaking. 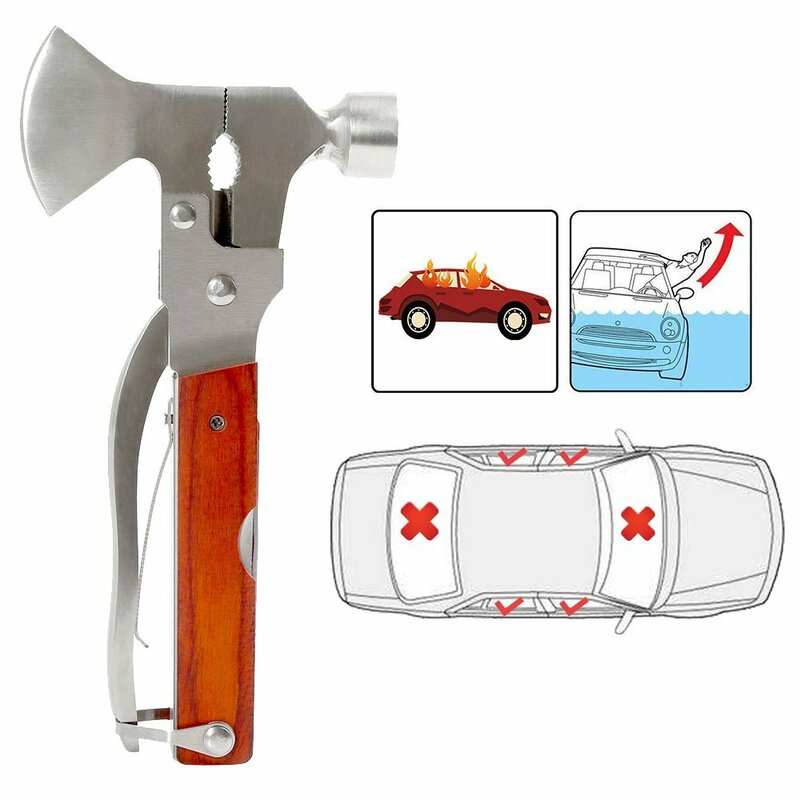 2.Car emergency safe hammer, home, outdoor camping and sports and collection. It is perfect for camping, outdoor hiking, driving, exploring travel. Simple household fixes, convenient to use,a necessary tool for daily life. 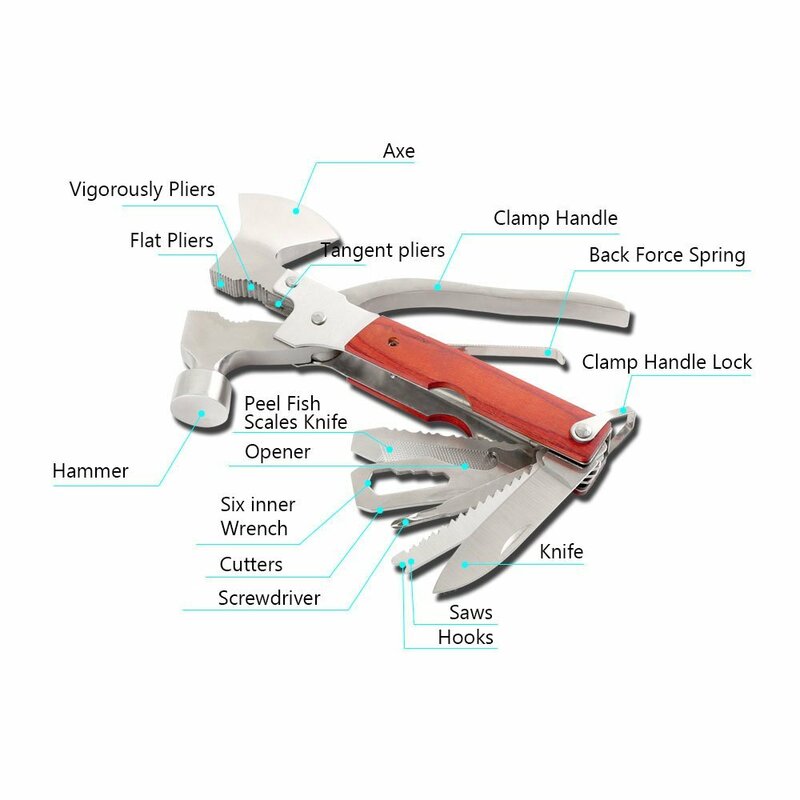 3.Safety Hammer Function Includes: Hammer, Flat-nose Plier, Pliers,Cone head, Cutter, Files, Main knife,Saw for wood, Fork for hook, Screwdriver, Six point metric wrench, Bottle opener and so on.